I first heard A Tribe Called Quest’s music when I was a freshman at Howard University. My introduction to the group was their single, “I Left My Wallet in El Segundo,” and I was unsure I felt about it. With it’s laid-back, hippy vibe, this song was unlike any rap song I’d heard. But the more I listened to it, the more I got into it. By the time they released their debut album People’s Instinctive Travels and the Paths of Rhythm, I was a bonafide fan. My fandom went to the next level when A Tribe Called Quest released The Low End Theory, one of the best hip-hop albums of all time. This is not up for debate. If you disagree, I will fight you. Image my delight when I walked into a Vans store and saw the Vans x A Tribe Called Quest Collection. 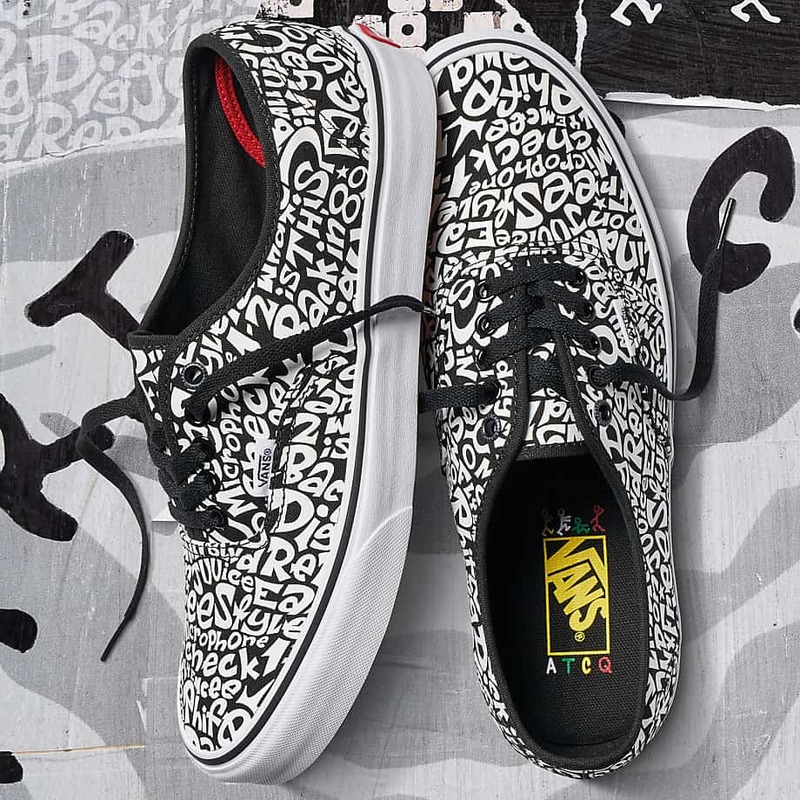 Vans and A Tribe Called Quest teamed up on a collection of footwear paying tribute to the iconic alternative hip-hop group. Check out the sneakers in the collection. 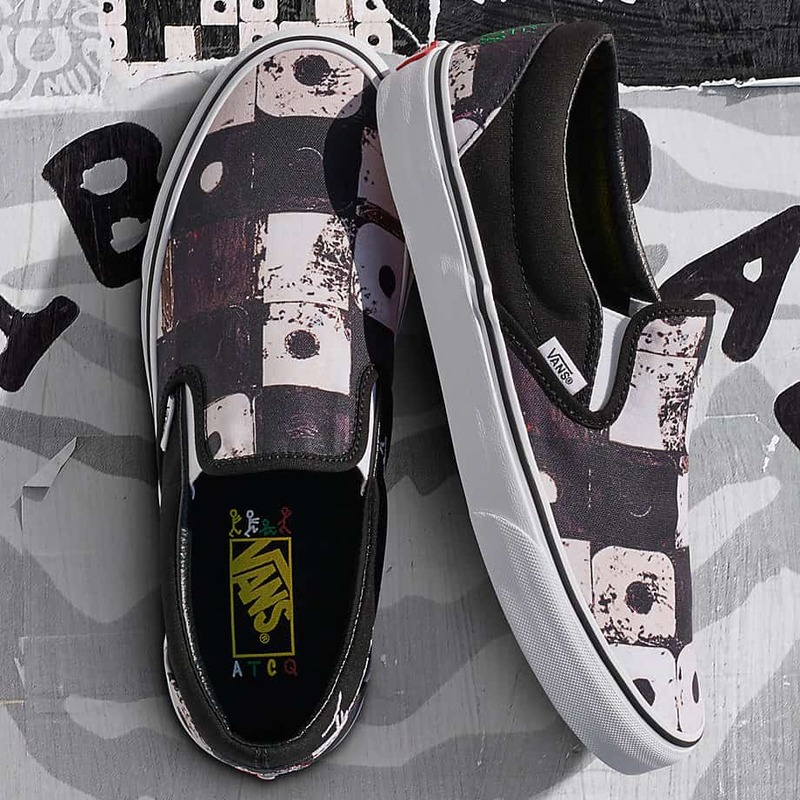 Inspired by their impact on culture, the Vans ATCQ Authentic sneakers combine the original and now iconic Vans low top style with sturdy canvas uppers, an allover print, metal eyelets, signature rubber waffle outsoles, and custom ATCQ details in a celebration of style, art, music, and authenticity. 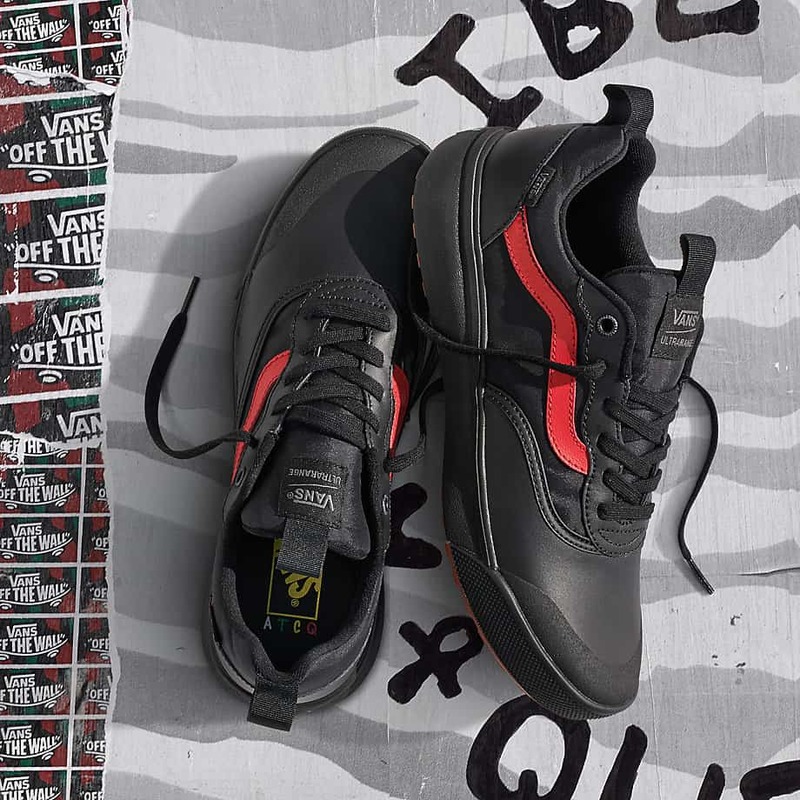 The Vans ATCQ UltraRange features a full length, co-molded UltraCush outsole, a LuxLiner sock-fit construction with seamless internals to reduce weight and rubbing, and durable reverse waffle lug outsoles for added grip. The ATCQ UltraRange also includes deluxe leather, textile, and rubber uppers, pull tabs for an easy on-and-off fit, and custom ATCQ details. 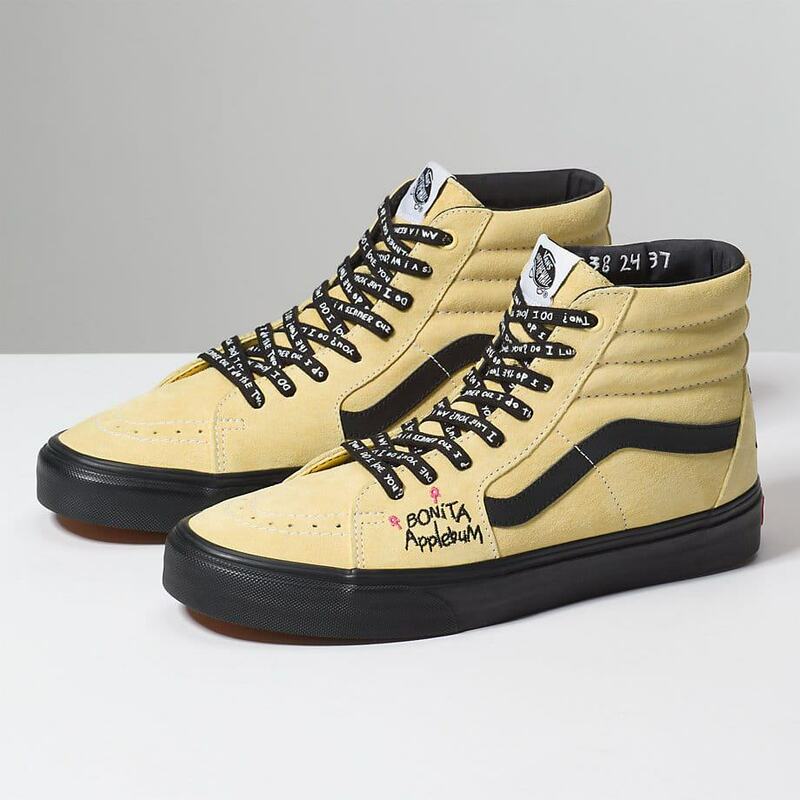 The Vans ATCQ Sk8-Hi combines the legendary lace-up high top with sturdy leather uppers, re-enforced toecaps to withstand repeated wear, padded collars for support and flexibility, signature rubber waffle outsoles, and custom ATCQ details. The ATCQ Classic Slip-On combines the iconic slip-on silhouette with sturdy canvas uppers, and allover print, padded collars, elastic side accents, signature rubber waffle outsoles, and custom ATCQ details. 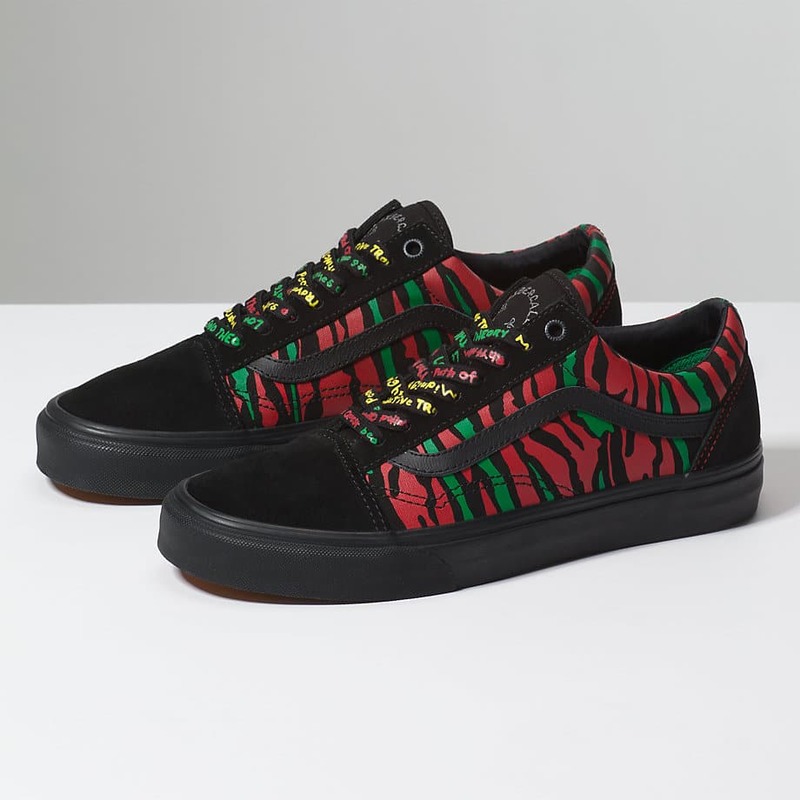 The Vans ATCQ Old Skool combines the classic sidestripe skate shoe with printed canvas and suede uppers, re-enforced toecaps to withstand repeated wear, padded collars for support and flexibility, signature rubber waffle outsoles, and custom ATCQ details. *RIP to Phife Dog, the five-foot assassin.